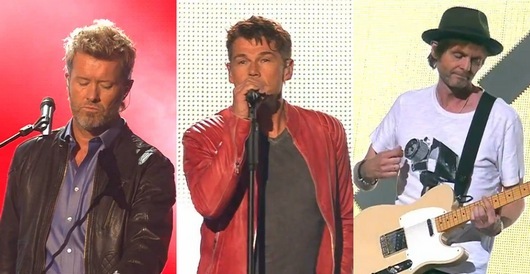 a-ha have done three different TV-performances in Germany over the last few days. Over on Facebook, Peter Kvint has posted some pictures from the Cast In Steel recording sessions in Stockholm. One of the pictures shows a computer screen with various song mixes, which reveals five of the a-ha tracks that didn’t make it onto the album; “Digital River”, “Hold Me”, “Karma King”, “Open Face” and Morten’s well-known song “Did I Leave You Behind”. At least two of those songs are likely to appear on Morten’s next solo album instead, Kvint says.